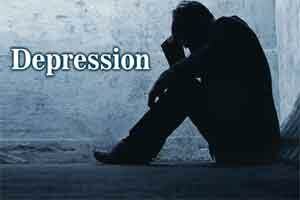 Thiruvananthapuram: Around nine per cent of Keralites, belonging to different age groups, are suffering from mental depression, according to a recent survey. Besides depression, other mental issues including schizophrenia, bipolar disorder and alcohol-related mental disease, were also prevalent among state people, the survey conducted by the Kerala State Mental Health Authority and National Health Mission said. It also found that one in every eight persons, that is 12.43 per cent of people covered under the survey, required psychiatric intervention. Released by state Health Minister K K Shylaja here yesterday, the survey was conducted in selected panachayts and municipalities of five districts – Kollam, Idukki, Palakkad, Wayanad and Kasaragod. According to the survey, the most common mental disorder, found among those surveyed, was depression. While around nine per cent people were suffering from depression, 0.29 per cent had schizophrenia problems and 0.27 had bipolar disorder, it said. As many as 1.46 per cent people, covered under the survey, were suffering from alcohol-related mental illness, it said. The survey also found that 75 per cent people were getting treatment for the mental health issues while 25 per cent were yet to get proper treatment. After releasing the survey, Shylaja said the survey would be conducted in remaining districts also soon.